Hewitt police detectives say the person pictured here is former Baylor University student Kelsie Hoover. Hewitt Police detectives say the person pictured here is former Baylor University student Kelsie Hoover. The website Guardian of Valor claims Hoover was pretending to be a U.S. soldier going by the name of Michael Cipriani in an airport. A person exposed in a video for pretending to be a U.S. soldier in an airport also falsely claimed to be a Baylor University student working on a film project in an attempt to escape online backlash after being outed. The individual at the center of the controversy, a former Baylor student, also faces criminal charges in an investigation spearheaded by the Hewitt Police Department. 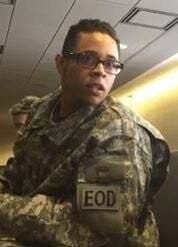 The website Guardian of Valor posted a video Feb. 27 of an encounter that occurred Feb. 21 with a person appearing to be an Army second lieutenant at Baltimore Washington International Airport. The website exposes cases of “stolen valor,” or people who claim to be active-duty military or veterans in hopes of gaining recognition or preferential treatment. The veteran filming the video first thanked the soldier for serving in the military, then pointed out that several badges on the soldier’s uniform were improperly placed. The soldier stumbled in responses to questions about the source of military commission, then offered a driver’s license as proof of identification, instead of a valid military credential that active personnel carry. After the video was posted, Guardian of Valor was contacted via email by a person named Kelsie Hoover, who claimed she was a Baylor film and digital media student and was the person in the video. Hoover claimed via email that she was dressed in character as a soldier in the airport in order to film a scene for a senior movie project called “New Dawn.” She explained that she was waiting for her film crew, was caught off- guard at being questioned and sought to have the information removed from the website. 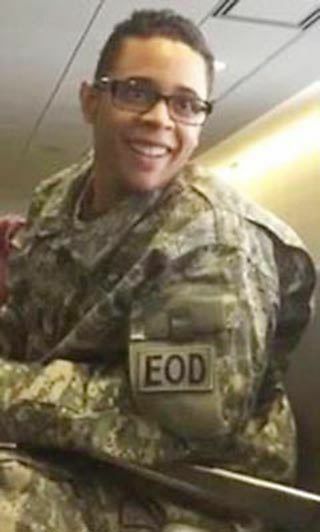 The soldier in the video appeared to be male and wore a tag with the last name Cipriani. The driver’s license the soldier presented was for a Michael Cipriani. But Hoover explained via email that the plot of the movie was about a woman who pretends to be a man in order to enlist in the military and fight on the front lines in war. Hoover claimed in the email exchanges that Cipriani is her brother and that she borrowed an old driver’s license as a prop for the film. But Baylor spokeswoman Lori Fogleman confirmed Tuesday that Hoover has not been enrolled at Baylor since the spring 2013 semester. “We have made our general counsel’s office aware of this misrepresentation of the university and its student body and will address the matter as appropriate,” Fogleman said in an email. Chris Hansen, director of Baylor’s film and digital media division, said no faculty members in the department have heard of “New Dawn” or any other military film project being produced by students. He also said Hoover made several false claims about the university’s film program in further emails to Guardian of Valor, such as claiming that the movie was a final senior project for graduation, and that the group that made the best film would be given automatic admission to the master’s film program. “There were a lot of holes like that that made me think, ‘This person is just tap-dancing to try and cover whatever they did,’ ” Hansen said. Army Staff Sgt. Anthony Anderson, who runs the Guardian of Valor site, exchanged emails purportedly with Hoover, Cipriani and Cipriani’s wife. The Ciprianis claimed they were unaware that Hoover had used the ID outside of filming and expressed anger in emails to Anderson at their relative’s behavior. The email exchanges are posted on the website. But now Anderson thinks Cipriani and Hoover are the same person. Hewitt Police Chief Jim Devlin said an active arrest warrant has been issued for Hoover, who is a suspect in a theft case of more than $500 but less than $1,500 during a September 2014 incident in Waco. Devlin said detectives have reviewed the Guardian of Valor video and confirmed that Cipriani is Hoover. “We are in the process of trying to track down that individual and find out where they’re at,” Devlin said. Anderson said he had not spoken to Hoover or the Ciprianis, but their emails were registered to IP addresses in different states — Hoover in Texas and the Ciprianis in Nevada. But when tipsters advised Anderson that it may be one person running an elaborate hoax, he re-examined the email exchanges and discovered that both Hoover and Cipriani gave him the same phone number contact — a Nevada-based cellphone number registered to Michael Cipriani. “I’ve been doing this for five years, and I’m very thorough when I investigate these things, I’ve never outed a real veteran,” Anderson said. “This is the first time I’ve been duped like this, and the way I see it, she’s using this to defraud people. “If she wasn’t a student at Baylor, then why was she at the airport in uniform? Did she go through TSA using a fake ID? Did she get on that plane wearing that uniform and get upgraded to first class because she was posing as a soldier? Read the original “stolen valor” report, watch the video and view the email exchanges at www.guardianofvalor.com.